44 Commercial Real Estate & Properties in Ormeau are listed in 3 categories. We have 26 Industrial Warehouses Lease , 17 OfficesLease and 7 Retail ShopsLease . Fantastic Warehouse Opportunity $ 1 375 SQM* PCM + OUTS +..
Yong Commercial is pleased to offer retail shops for lease at one of the Gold coast's premier shopping centre Ormeau Town Centre. Ormeau Town Centre is located within the Brisbane to Gold Coast corridor, approximately 40km North West from Surfers Paradise and 50 Km South East of the Brisbane CBD, in a high growth residential corridor which is expected to see over 26% growth within the Main Trade Area reaching close to over 32,000 people by 2026.The centre is located within a high profile location at the corner of Peachey Road and Vaughan Drive with direct access provided via the Pacific Motorway (M1), which is approximately 500 metres away. Ormeau Town Centre represents a fantastic retail opportunity located in the heart of this fast growing neighbourhood of Ormeau. Precinct included well established operators of Drakes IGA, Dominos, Snap Fitness, Medical centre, Post office, Woolworths and Chemist Warehouse at this high profile location with direct access to the Pacific Motorway (M1). Key features include: Shop 8 160m2 ( can be divided into smaller spaces) Ideal for Restaurant & Cafe & Landlord contribution to commercial kitchen Ideal for Japanese restaurant, Chinese restaurant, cafe, vietnamese restaurant ,Thai restaurant, Italian Australian restaurant, Mexican restaurant, Brazilian restaurant, french restaurant etc At Ormeau town centre location Access to grease trap Centre has great signage opportunities Ample onsite customer parking Close to public transport and Pacific Motorway (M1) Population 20,300, 2.2% annual population growth until 2031, retail spending forecast to increase at 5.7% per annum until 2031 Ideal location to open restaurant for Ormeau Hills residents, thousand of new home built 3 mins drive to Yatala's industrial hub Empire Industrial Estate :The largest industrial estate on the Gold Coast. (The estate will contribute over a billion dollars to the Gold Coast economy and create thousands of jobs for surrounding areas. Once completed, Empire Industrial Estate will host 550,000sqm of building cover in 10 Staged lots ranging from 2100sqm to 300,000sqm.) https://www.youtube.com/watch?v=SgP53gOqAns https://empireestate.com.au Landlord contribution to commercial kitchen for the right tenant Price: Contact agent Inspection: By appointment Address:Shop 8 / 29 Peachey Road Ormeau QLD Contact: Conan Li 0404 617 767 (07 3373 9887) Email: conan.li@yong.com.au Disclaimer: We have in preparing this information used our best endeavours to ensure that the information contained herein is true and accurate, but accept no responsibility and disclaim all liability in respect of any errors, omissions, inaccuracies or misstatements that may occur. Prospective purchasers should make their own enquiries to verify the information contained herein. Yong Commercial is pleased to offer retail shops for lease at one of the Gold coast's premier shopping centre Ormeau Town Centre. Ormeau Town Centre is located within the Brisbane to Gold Coast corridor, approximately 40km North West from Surfers Paradise and 50 Km South East of the Brisbane CBD, in a high growth residential corridor which is expected to see over 26% growth within the Main Trade Area reaching close to over 32,000 people by 2026.The centre is located within a high pro le location at the corner of Peachey Road and Vaughan Drive with direct access provided via the Paci c Motorway (M1), which is approximately 500 metres away. Ormeau Town Centre represents a fantastic retail opportunity located in the heart of this fast growing neighbourhood of Ormeau. Precinct included well established operators of Drakes IGA, Dominos, Snap Fitness, Medical centre, Post office, Woolworths and Chemist Warehouse at this high profile location with direct access to the Pacific Motorway (M1). Key features include: Shop 6 141m2 plus outside dining area (can be divided into smaller spaces) Ideal for Restaurant & Cafe & Landlord contribution to commercial kitchen Ideal for Japanese restaurant, Chinese restaurant, cafe, vietnamese restaurant ,Thai restaurant, Italian Australian restaurant, Mexican restaurant, Brazilian restaurant, french restaurant etc At Ormeau town centre location Access to grease trap Centre has great signage opportunities Ample onsite customer parking Close to public transport and Pacific Motorway (M1) Population 20,300, 2.2% annual population growth until 2031, retail spending forecast to increase at 5.7% per annum until 2031 Ideal location to open restaurant for Ormeau Hills residents, thousand of new home built 3 mins drive to Yatala's industrial hub Empire Industrial Estate :The largest industrial estate on the Gold Coast. (The estate will contribute over a billion dollars to the Gold Coast economy and create thousands of jobs for surrounding areas. Once completed, Empire Industrial Estate will host 550,000sqm of building cover in 10 Staged lots ranging from 2100sqm to 300,000sqm.) https://www.youtube.com/watch?v=SgP53gOqAns https://empireestate.com.au Landlord contribution to commercial kitchen for the right tenant Price: Contact agent Inspection: By appointment Address: Shop 6 / 29 Peachey Road Ormeau QLD Contact: Conan Li 0404 617 767 (07 3373 9887) Email: conan.li@yong.com.au Disclaimer: We have in preparing this information used our best endeavours to ensure that the information contained herein is true and accurate, but accept no responsibility and disclaim all liability in respect of any errors, omissions, inaccuracies or misstatements that may occur. Prospective purchasers should make their own enquiries to verify the information contained herein. Yong Commercial is pleased to offer retail shops for lease at one of the Gold coast's premier shopping centre Ormeau Town Centre. Ormeau Town Centre is located within the Brisbane to Gold Coast corridor, approximately 40km North West from Surfers Paradise and 50 Km South East of the Brisbane CBD, in a high growth residential corridor which is expected to see over 26% growth within the Main Trade Area reaching close to over 32,000 people by 2026.The centre is located within a high profile location at the corner of Peachey Road and Vaughan Drive with direct access provided via the Pacific Motorway (M1), which is approximately 500 metres away. Ormeau Town Centre represents a fantastic retail opportunity located in the heart of this fast growing neighbourhood of Ormeau. Precinct included well established operators of Drakes IGA, Dominos, Snap Fitness, Medical centre, Post office, Woolworths and Chemist Warehouse at this high profile location with direct access to the Pacific Motorway (M1). Key features include: Shop 3 138m2 (can be divided into smaller spaces) Ideal for Restaurant & Cafe & Landlord contribution to commercial kitchen Ideal for Japanese restaurant, Chinese restaurant, cafe, vietnamese restaurant,Thai restaurant, Italian Australian restaurant, Mexican restaurant, Brazilian restaurant, french restaurant etc At Ormeau town centre location Access to grease trap Centre has great signage opportunities Ample onsite customer parking Close to public transport and Pacific Motorway (M1) Population 20,300, 2.2% annual population growth until 2031, retail spending forecast to increase at 5.7% per annum until 2031 Ideal location to open restaurant for Ormeau Hills residents, thousand of new home built 3 mins drive to Yatala's industrial hub Empire Industrial Estate :The largest industrial estate on the Gold Coast. (The estate will contribute over a billion dollars to the Gold Coast economy and create thousands of jobs for surrounding areas. Once completed, Empire Industrial Estate will host 550,000sqm of building cover in 10 Staged lots ranging from 2100sqm to 300,000sqm.) 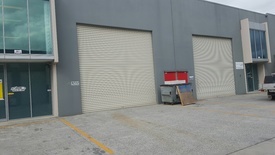 https://www.youtube.com/watch?v=SgP53gOqAns https://empireestate.com.au Landlord contribution to commercial kitchen for the right tenant Price: Contact agent Inspection: By appointment Address:Shop 3 / 29 Peachey Road Ormeau QLD Contact: Conan Li 0404 617 767 (07 3373 9887) Email: conan.li@yong.com.au Disclaimer: We have in preparing this information used our best endeavours to ensure that the information contained herein is true and accurate, but accept no responsibility and disclaim all liability in respect of any errors, omissions, inaccuracies or misstatements that may occur. Prospective purchasers should make their own enquiries to verify the information contained herein. Yong Commercial is pleased to offer retail shops for lease at one of the Gold coast's premier shopping centre Ormeau Town Centre. Ormeau Town Centre is located within the Brisbane to Gold Coast corridor, approximately 40km North West from Surfers Paradise and 50 Km South East of the Brisbane CBD, in a high growth residential corridor which is expected to see over 26% growth within the Main Trade Area reaching close to over 32,000 people by 2026.The centre is located within a high profile location at the corner of Peachey Road and Vaughan Drive with direct access provided via the Pacific Motorway (M1), which is approximately 500 metres away. Ormeau Town Centre represents a fantastic retail opportunity located in the heart of this fast growing neighbourhood of Ormeau. Precinct included well established operators of Drakes IGA, Dominos, Snap Fitness, Medical centre, Post office, Woolworths and Chemist Warehouse at this high profile location with direct access to the Pacific Motorway (M1). Key features include: Ideal for Restaurant & Cafe & Landlord contribution to commercial kitchen Ideal for Japanese restaurant, Chinese restaurant, cafe, vietnamese restaurant ,Thai restaurant, Italian Australian restaurant, Mexican restaurant, Brazilian restaurant, french restaurant etc Shop 3 138m2 (can be divided into smaller spaces) Shop 6 141m2 plus outside dining area (can be divided into smaller spaces) Shop 8 160m2 ( can be divided into smaller spaces) At Ormeau town centre location Access to grease trap Centre has great signage opportunities Ample onsite customer parking Close to public transport and Pacific Motorway (M1) Population 20,300, 2.2% annual population growth until 2031, retail spending forecast to increase at 5.7% per annum until 2031 Ideal location to open restaurant for Ormeau Hills residents, thousand of new home built 3 mins drive to Yatala's industrial hub Empire Industrial Estate :The largest industrial estate on the Gold Coast. (The estate will contribute over a billion dollars to the Gold Coast economy and create thousands of jobs for surrounding areas. Once completed, Empire Industrial Estate will host 550,000sqm of building cover in 10 Staged lots ranging from 2100sqm to 300,000sqm.) https://www.youtube.com/watch?v=SgP53gOqAns https://empireestate.com.au Price: Contact agent Inspection: By appointment Address:Shop 3; Shop 6 ;Shop 8 / 29 Peachey Road Ormeau QLD Contact: Conan Li 0404 617 767 (07 3373 9887) Email: conan.li@yong.com.au Disclaimer: We have in preparing this information used our best endeavours to ensure that the information contained herein is true and accurate, but accept no responsibility and disclaim all liability in respect of any errors, omissions, inaccuracies or misstatements that may occur. Prospective purchasers should make their own enquiries to verify the information contained herein. Located in the Yatala Enterprise area only 20 minutes to the Gold Coast CBD and 30 minutes to Brisbane, with access both North and South bound. Available now so do not miss the opportunity to secure one of these industrial units. 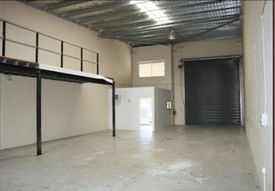 719 SQM industrial unit in highly sought after 105 SQM mezzanine Air conditioning to lobby/entry area, stairs and mezzanine Carpet to lobby/entry area, stairs and mezzanine 4 Undercover Carparks (10 total) 3 bathrooms with 1 shower 2 remote operated roller doors and 2 glass entry doors 2 manually operated roller doors providing access to large exclusive use concreted area Container drop down area Ample parking Easy access north & south bound Don't miss out on this complex Available now Call now to secure your unit $ 5 000 deposit will hold. Approximate If Applicable For more information please contact Sandra Carder. Brand new 340 SQM tilt panel unit comprising of 270 SQM warehouse and 70 SQM carpeted, air conditioned office mezzanine Container height electric shutter Semi trailer access and turning bays Provisions for container set down Ample onsite parking Excellent access to the M1 both North and Southbound Via Exit 41 Award winning builder One Sector Do not miss out on the opportunity to secure one of these units in the tightly held Yatala Enterprise Area. Approximate If Applicable For more information please contact Sandra Carder. DISCLAIMER: Subject to the provisions of the Trade Practices Act 1974 and subject to any other non excludable statutory provisions. Ellison Specialised Properties Pty Ltd for themselves and for the Vendors of this property for whom they act give notice that: (i) all information given in relation to this property whether contained in this document or given orally, is given without responsibility; (ii) intending purchasers should satisfy themselves as to the truth or accuracy of all information given by their own inspections, searches, enquiries, advices or as is otherwise necessary; (iii) no person in the employment of Ellison Specialised Properties Pty Ltd has any authority to make or give any representation or warranty whether in relation to this property. Join other quality tenants, who enjoy this ideal location. This leasing opportunity is for the budget conscious businesses who are seeking quality office accommodation at a competitive rate. 151 SQM of air conditioned modern office space over two levels, with an open plan layout and situated on a prominent street in the heart of thriving Ormeau. 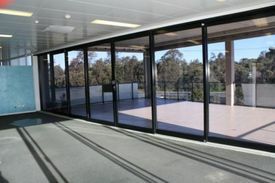 As a tenant you will enjoy A total of 151 SQM of open office space Ample on site car parking complimented by on street car parking Air conditioning throughout Fully cabled for phones & computers Outgoings limited to Body Corporate & Council Rates For more information please contact Tony Morena. Approximate If Applicable. DISCLAIMER: Subject to the provisions of the Trade Practices Act 1974 and subject to any other non excludable statutory provisions. Ellison Specialised Properties Pty Ltd for themselves and for the Vendors of this property for whom they act give notice that: (i) all information given in relation to this property whether contained in this document or given orally, is given without responsibility; (ii) intending purchasers should satisfy themselves as to the truth or accuracy of all information given by their own inspections, searches, enquiries, advices or as is otherwise necessary; (iii) no person in the employment of Ellison Specialised Properties Pty Ltd has any authority to make or give any representation or warranty whether in relation to this property. Need an office desk with a corporate feel? Printing, scanning and copying services Full secure office with key fob access High speed internet Common facilities meeting room 24/7 access Positioned between Gold Coast and Brisbane Yours to view today! approx Please contact the listing agent for more details by clicking on the link above. Disclaimer: Ray White has not independently checked any of the information we merely pass on. We make no comment on and give no warranty as to the accuracy of the information contained in this document which does not constitute all or any part of any offer or contract by the recipient. Prospective purchasers / lessees must rely on their own enquiries and should satisfy themselves as to the truth or accuracy of all information given by their own inspections, searches, inquiries, advices or as is otherwise necessary. No duty of care is assumed by Orchid Avenue Realty trading as Ray White Surfers Paradise Commercial divisions toward the recipient with regard to the use of this information and all information given is given without responsibility. 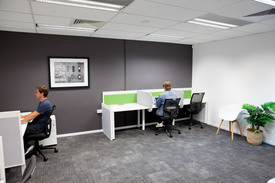 Suitable for 3 4 people Full secure office with key fob access High speed internet Common facilities meeting room 24/7 access Positioned between Gold Coast and Brisbane approx Please contact the listing agent for more details by clicking on the link above. Disclaimer: Ray White has not independently checked any of the information we merely pass on. We make no comment on and give no warranty as to the accuracy of the information contained in this document which does not constitute all or any part of any offer or contract by the recipient. Prospective purchasers / lessees must rely on their own enquiries and should satisfy themselves as to the truth or accuracy of all information given by their own inspections, searches, inquiries, advices or as is otherwise necessary. No duty of care is assumed by Orchid Avenue Realty trading as Ray White Surfers Paradise Commercial divisions toward the recipient with regard to the use of this information and all information given is given without responsibility. 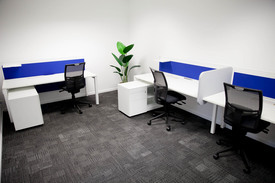 Suitable for 6 8 people Fully secure office with key fob access High speed internet Full use of common facilities meeting room 24/7 access Positioned between Gold Coast and Brisbane approx Please contact the listing agent for more details by clicking on the link above. Disclaimer: Ray White has not independently checked any of the information we merely pass on. We make no comment on and give no warranty as to the accuracy of the information contained in this document which does not constitute all or any part of any offer or contract by the recipient. Prospective purchasers / lessees must rely on their own enquiries and should satisfy themselves as to the truth or accuracy of all information given by their own inspections, searches, inquiries, advices or as is otherwise necessary. No duty of care is assumed by Orchid Avenue Realty trading as Ray White Surfers Paradise Commercial divisions toward the recipient with regard to the use of this information and all information given is given without responsibility. Cafe available for lease end of July 121m2 in total Located opposite Caltex Service Station Plant and equipment negotiable Call agent today for inspection approx Please contact the listing agent for more details by clicking on the link above. Disclaimer: Ray White has not independently checked any of the information we merely pass on. We make no comment on and give no warranty as to the accuracy of the information contained in this document which does not constitute all or any part of any offer or contract by the recipient. Prospective purchasers / lessees must rely on their own enquiries and should satisfy themselves as to the truth or accuracy of all information given by their own inspections, searches, inquiries, advices or as is otherwise necessary. No duty of care is assumed by Orchid Avenue Realty trading as Ray White Surfers Paradise Commercial divisions toward the recipient with regard to the use of this information and all information given is given without responsibility. 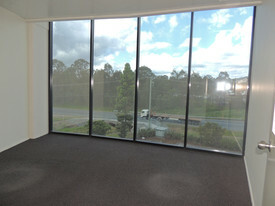 57m2 office space Reception/Open plan Office 2 individual office with views of M1 4 allocated car parks NBN ready! Located on level 2 of the tower Close to M1 for easy access Available Now Book your inspection today approx Please contact the listing agent for more details by clicking on the link above. Disclaimer: Ray White has not independently checked any of the information we merely pass on. We make no comment on and give no warranty as to the accuracy of the information contained in this document which does not constitute all or any part of any offer or contract by the recipient. Prospective purchasers / lessees must rely on their own enquiries and should satisfy themselves as to the truth or accuracy of all information given by their own inspections, searches, inquiries, advices or as is otherwise necessary. No duty of care is assumed by Orchid Avenue Realty trading as Ray White Surfers Paradise Commercial divisions toward the recipient with regard to the use of this information and all information given is given without responsibility.